The moment has finally arrived. 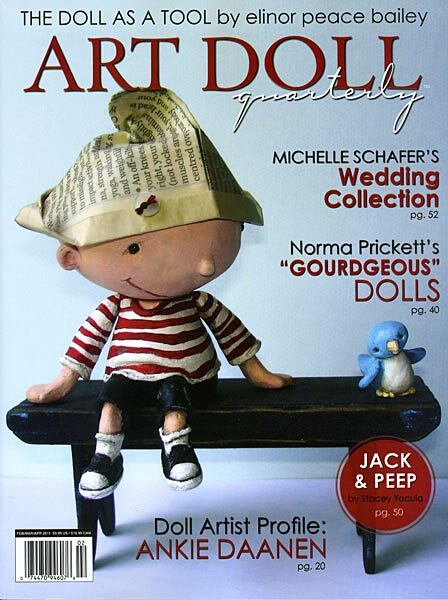 The Spring issue of Art Doll Quarterly has hit the stands and my award-winning Invisible Man is gracing the pages. There is a seven page spread featuring the winners of the LIVING FELT INTERNATIONAL FELTING CONTEST 2010. Everybody who won got their doll’s photo in the spread, and a chance to write a little something about themselves, their work and the contest. Congratulations to all the winners, I’m proud to share the pages with your amazing work! For anyone who wants to buy the issue, it’s on the stands now. 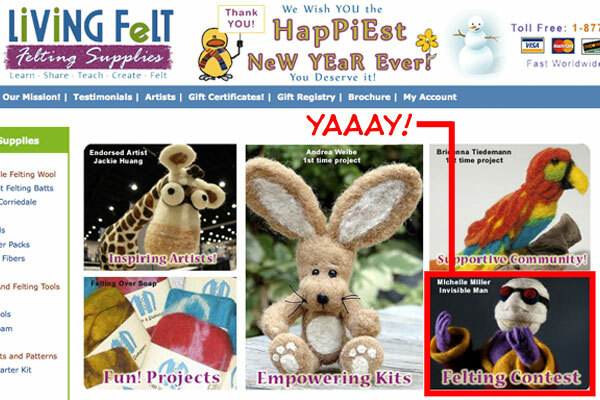 And if you’d like to view all the entries from the comfort of your living room, you can visit the Living Felt site at http://www.livingfelt.com/feltingcontest2010-dolls.html Be sure to check out the Alice in Wonderland category too. I also made the Living Felt homepage! Thanks to Art Doll Quarterly for sending me my own contributor's copy.